The ability of a software to remember people, places, objects and even writing samples through an image is known as Image Recognition Technology. This approach requires computers to use machine vision technologies in association with AI software and video cameras to perform image recognition. It’s also used to execute a variety of machine-based visual tasks. These tasks include labeling images having content with related meta-tags, executing image content search and supervising robots, auto-driving vehicles, and so forth. Today, most of the newly invented products depend upon image recognition feature. For instance, the technology which is used in auto driving vehicles, and latest smartphones. These devices are capable of sensing objects. Image Recognition is actually a vision of our computers. These computers are capable of taking precise decisions. Their decisions completely rely on what they understand by sensing that particular object. 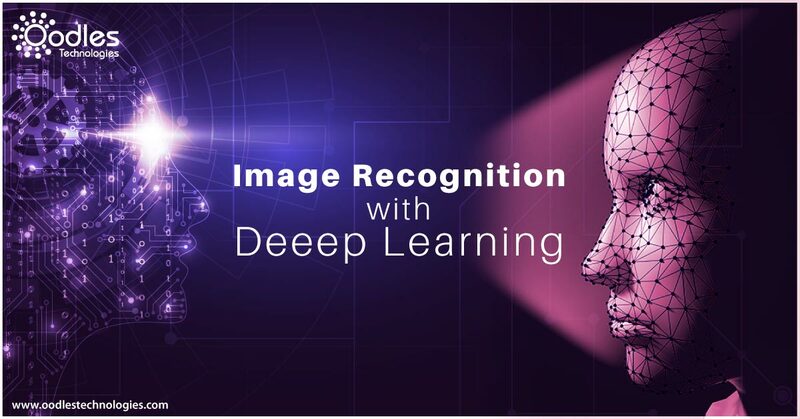 Here, I will explain how the whole procedure of Image Recognition Technology with Deep Learning works and make devices learn. A large number of latest inventions in Image Recognition use Machine learning, AI, and mostly they depend upon Deep Learning. While using Machine Learning, computers go through our data, processes it and then makes a prediction. The time computers are taking in coming up to a conclusion is actually the time they take to process it through various codes. But through Deep Learning, machines can even analyze what is the accuracy rate of the conclusions they are getting from associated devices. This is an essential feature because we want our auto driving vehicles to identify the differences in objects they come across. Deep Learning Technology works well by using AI enabled neural networks. Neural networks technology uses algorithms which are linked to each other. Due to this, every algorithm depends on the result of the associated algorithm. This builds a procedure that imitates the same logical reasoning that humans use. Image datasets continuously work on making predictions from the set of information available in a dataset and use that knowledge in the real-life conditions. The reason behind making Image Recognition so much popular nowadays is Datasets. The more advanced dataset we are using, more accurate and precise predictions we are getting. Latest and futuristic apps of Image Recognition technology uses highly effective and smart image libraries. With these smart image libraries, we will see near perfect predictions, or we can say that they are going to be the crucial player in delivering quality predictions. Most of the big shot companies are working on the above-said technology. That is the reason why they are investing huge chunks of money, and resources in the research of Image Recognition and related technologies. This is because Image Recognition is going to play such a big role in building auto vehicles, auto appliances and so forth. Image Recognition and related technologies are considered controversial because companies are continuously pulling a large amount of data from their users on various social platforms. But apart from all this, Image Recognition which is an important branch of AI development has a big role to play in building Auto vehicles, smart homes, smart buildings etc. Oodles Technologies, one of the prominent application development company in India. Please feel free to contact us for creating AI based mobile applications.